318 pages | 14 B/W Illus. From Major League Baseball to English soccer’s Premier League, all successful contemporary professional sports leagues include a wide diversity of nationalities and ethnicities within their playing and coaching rosters. 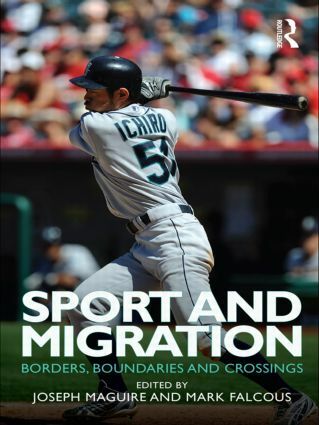 The international migration of sporting talent and labor, encouraged and facilitated by the social and economic undercurrents of globalization, mean that world sport is now an important case study for any student or researcher with an interest in international labor flows, economic migration, global demography or the interdependent world economy. In this dazzling collection of papers, leading international sport studies scholars chart the patterns, policies and personal experiences of labour migration within and around sport, and in doing so cast important new light both on the forces shaping modern sport and on the role that sport plays in shaping the world economy and global society. Presenting original case studies of sports from European and African soccer to Japanese baseball to rugby union in New Zealand, the book makes an important contribution to our understanding of a wide range of issues within contemporary social science, such as national identity politics, economic structure and organization, north-south relations, imperial legacies and gender relations. This book is invaluable reading for students and researchers working in sport studies, human geography, economics or international business. Joseph Maguire is Professor in Sociology of Sport in the School of Sport, Exercise and Health Sciences at the University of Loughborough, UK. He is a past President of the International Sociology of Sport Association and an executive board member of the International Council for Sports Science and Physical Education. Mark Falcous is Senior Lecturer in the Sociology of Sport in the School of Physical Education at the University of Otago, New Zealand. He is an editorial board member for the Sociology of Sport Journal.